Let’s face it, beer smells good; and if you just can’t get enough of that great hoppy aroma, why not lather it into your hair? 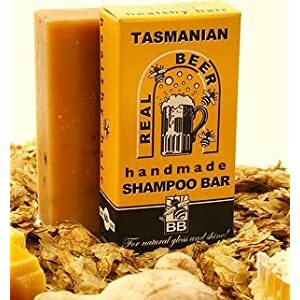 Tasmanian Beer Shampoo ($11.50) allows you to do that without bringing a bottle of craft brew into the shower with you. Brewed by the boutique Tasmanian Dark Isle Brewery. Prized Tasmanian hops straight from the oats houses of the lush Derwent River Valley are infused, then added for their conditioning and antiseptic qualities. You can actually see the flecks of hops in the bar. 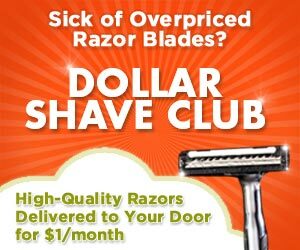 It’s also good for your hair as beer has been famed for generations for its ability to leave hair bouncy, shiny and full of body. Growler Station isn’t your typical bottle shop. 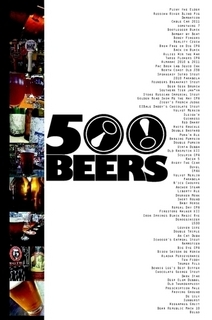 Though they offer over 200 varieties of craft beer from around the world by the bottle, they have 24 craft brews on tap which are available by the growler via their unique growler filling taps which fill the beer carrying vessels by running the draft beer down the sides of the growler, reducing foam and increasing longevity. “You get the enjoyment of your favorite draft beer, right at home,” says co-owner John O’Connell. “Oxygen is a killer of beer, we believe that with this technology, we can revolutionize the way beer is delivered to customers.” Growler Station is also offering recyclable 2 liter plastic bottles which they claim retains the same taste and freshness of a traditional glass growler while freeing you from hauling (and cleaning) your old jug. Located at 26 West 8th St. New York City. Unofficially named the “Spartan Carton”, the Reusable Leather Beer Carton ($65) consists of riveted leather attached to a masonite handle, allowing you to transport your favorite craft beer in minimalistic style. Designed for use with the 6-Pack Bike Frame Cinch ($22), a simple leather strap that can secure your valuable brew to the top tube of any bike. It’s no surprise they’re made in Portland, OR.